Take on tackling carbon emissions by charging true cost to society. Copyright ©2018, Environmental Law Institute®, Washington D.C. www.eli.org. 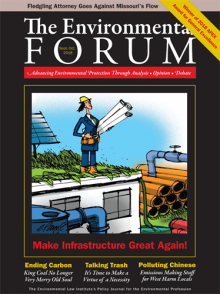 Reprinted by permission from The Environmental Forum®, September-October .